The 2018 PGA Tour professional golf tournament Puerto Rico Open will be not played officially because of the damage from Hurricane Maria. It will be replaced by an unofficial PGA Tour tournament for golf players, other athletes and celebrities to help with recovery work. The Puerto Rico Tourism Company and PGA Tour said that the Puerto Rico Open will come back again officially in 2019 to 2020 as a four-day 72-hole event. Every year the Puerto Rico Open golf tournament will be held at Coco Beach Golf Course, Rio Grande, Puerto Rico but this year it will played on the TPC Dorado Beach on 1st March to 4th March 2018. From last 10 years the Puerto Rico Open is a part of the PGA Tour and has increased $690,000 for charity groups functioning with children and health problems. 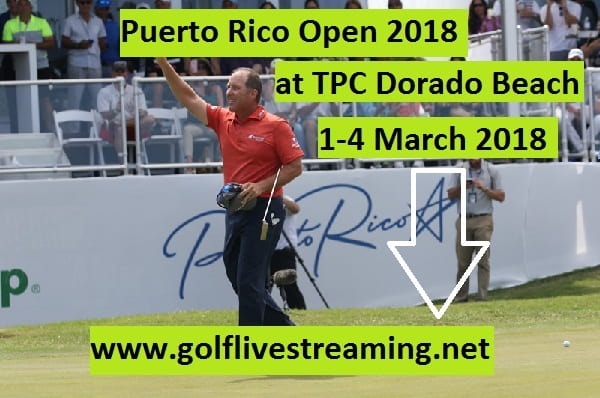 Watch Puerto Rico Open 2018 HD live streaming on your PC, laptop, Tab, smart TV, Apple TV and other devices globally. Last year D.A. Points has won this event by 2 shots over Bill Lunde, Bryson DeChambeau and Retief Goosen.